you purchase(s) history will also be available in our store, or in PayPal. 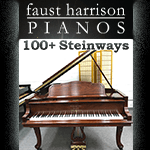 If you made a donation to support Piano World (thank you!) you should receive an email from PayPal with the details. If you purchased Advertising on Piano World you should receive an email receipt and we will be in touch soon about your ad. 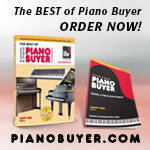 (Piano For Sale Ads should post immediately, you can check by doing a search).